Yoga has a lot of health benefits. Some of these health benefits include stress reduction, improved physical health, weight loss, and increased flexibility. Yoga is a very ancient system of mind and body practice that has its roots in Indian philosophy, religion, and culture. It involves an amalgamation of meditation, controlled breathing (called pranayama), and non-judgmental focus on one’s thoughts and emotions through various physical (yoga) postures, called asanas. The health benefits of yoga are numerous and wide-ranging. Some of these yoga benefits include stress reduction, improved physical health, relief from many ailments and aches, increased flexibility, better breathing, enhanced blood circulation, avoidance of weight gain, etc. 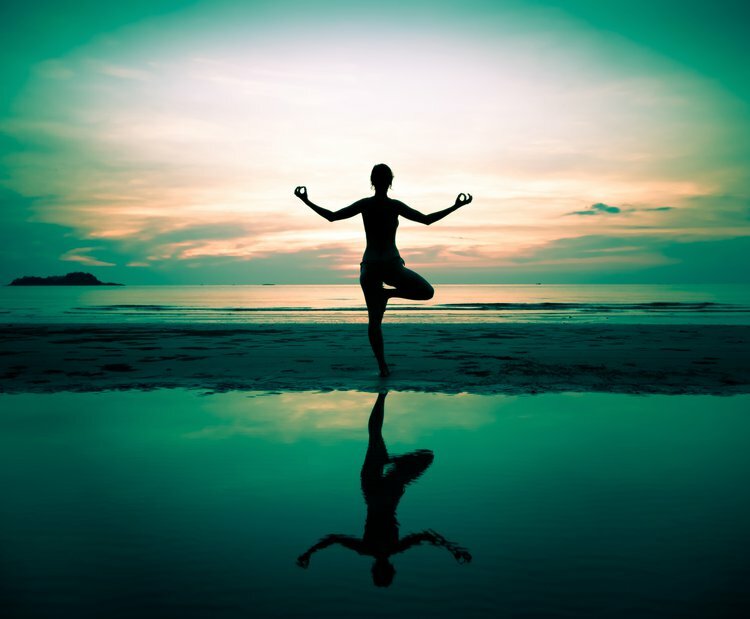 Many individuals use yoga to improve the quality of their physical and mental health and maintain a healthy lifestyle. Individuals of any age (from children to the elderly) may practice yoga in order to improve their quality of life. Yoga is advantageous for elderly adults since it is comprised of low-impact techniques and slow movements. Yoga can increase flexibility, improve posture and balance, and help prevent falls. There are many yoga postures and only a trained yoga practitioner may be able to advise on the kind of postures that suit an individual’s specific requirement or condition. Yoga is said to be the union of the mind and body. If performed regularly, it is proven to effectively reduce stress, relieve depression, and lessen anxiety. The body releases lesser cortisol, which is a stress hormone, thereby helping control stress. This brings about lowered blood pressure and heart rate. It is known that yoga can help with weight management and obesity. A report in the Journal of Alternative Therapies in Health and Medicine outlined a 10 year study among 15,500 participants (over 50 years). It reported that among those who practiced yoga regularly, there was no age-related weight gain observed. Individuals with chronic and recurring lower back pain stand to gain through the stretching and improved functionality of muscles enabled by yoga. Research undertaken under the sponsorship of National Center for Complementary and Alternative Medicine (NCCAM) showed that those who practiced yoga regularly had reduced symptoms of back pain, lesser pain, and a better emotional state. Reduced stress and attainment of an inner peace through meditation and yoga can promote restfulness and good sleep. Yoga postures have a systemic effect on the human body. It can help remove toxins by increased blood circulation, strengthen the muscles, and improve body immunity. Per NCCAM, millions of individuals in the United States and Europe practice ‘Hatha Yoga’, which is the most commonly practiced form of yoga. Yoga is considered a low-risk and low-impact exercising technique with hardly any side effects or possibility of injury, if practiced correctly and under the guidance of experts trained in yoga. However, individuals with certain specific health conditions, such as women who are pregnant, individuals under certain prescription medications, hypertension, sciatica (caused due to irritation of spinal nerve root), or glaucoma, should exercise caution per NCCAM. Sherman KJ, Cherkin DC, Wellman RD, et al. A randomized trial comparing yoga, stretching, and a self-care book for chronic low back pain. Archives of Internal Medicine. 2011;171(22):2019–2026. Williams K, Abildso C, Steinberg L, et al. Evaluation of the effectiveness and efficacy of Iyengar yoga therapy on chronic low back pain. Spine. 2009;34(19):2066–2076. Ross, A., & Thomas, S. (2010). The health benefits of yoga and exercise: a review of comparison studies. The journal of Alternative and complementary medicine, 16(1), 3-12. Janakiramaiah, N., Gangadhar, B. N., Murthy, P. N. V., Harish, M. G., Subbakrishna, D. K., & Vedamurthachar, A. (2000). Antidepressant efficacy of Sudarshan Kriya Yoga (SKY) in melancholia: a randomized comparison with electroconvulsive therapy (ECT) and imipramine. Journal of affective disorders, 57(1), 255-259. Jayasinghe, S. R. (2004). Yoga in cardiac health (a review). European Journal of Cardiovascular Prevention & Rehabilitation, 11(5), 369-375. Nagla, M. (2006). Yoga, health and leisure: Attitudes of women in Haryana.World Leisure Journal, 48(2), 23-34. Lin, K. Y., Hu, Y. T., Chang, K. J., Lin, H. F., & Tsauo, J. Y. (2011). Effects of yoga on psychological health, quality of life, and physical health of patients with cancer: a meta-analysis. Evidence-Based Complementary and Alternative Medicine, 2011. Chen, K. M., Chen, M. H., Chao, H. C., Hung, H. M., Lin, H. S., & Li, C. H. (2009). Sleep quality, depression state, and health status of older adults after silver yoga exercises: cluster randomized trial. International journal of nursing studies, 46(2), 154-163. Büssing, A., Michalsen, A., Khalsa, S. B. S., Telles, S., & Sherman, K. J. (2012). Effects of yoga on mental and physical health: a short summary of reviews. Evidence-Based Complementary and Alternative Medicine, 2012. Khalsa, S. B. S., Hickey-Schultz, L., Cohen, D., Steiner, N., & Cope, S. (2012). Evaluation of the mental health benefits of yoga in a secondary school: a preliminary randomized controlled trial. The journal of behavioral health services & research, 39(1), 80-90.